At this page, you can find all the published files together of ViveLab. By clicking on them, the easily readable and downloadable contents help you get through in the word of ergonomics and also give you an overall picture of our company's activities. HOW TO START USING VIVELAB? tutorial video - part 1.
tutorial video - part 2.
tutorial video - part 3.
tutorial video - part 4.
tutorial video - part 5.
tutorial video - part 6.
tutorial video - part 7.
tutorial video - part 8.
tutorial video - part 9.
tutorial video - part 10.
tutorial video - part 11.
tutorial video - part 12.
tutorial video - part 13.
tutorial video - part 14.
tutorial video - part 15.
tutorial video - part 16.
tutorial video - part 17.
tutorial video - part 18.
how to start using vivelab ergo - part 1. First steps: registration, login, invitation, Citrix installation and entering to the Lab. first steps in vivelab ergo - part 2. Navigation, user list, team chat, timeline. create human and set postures - part 3. 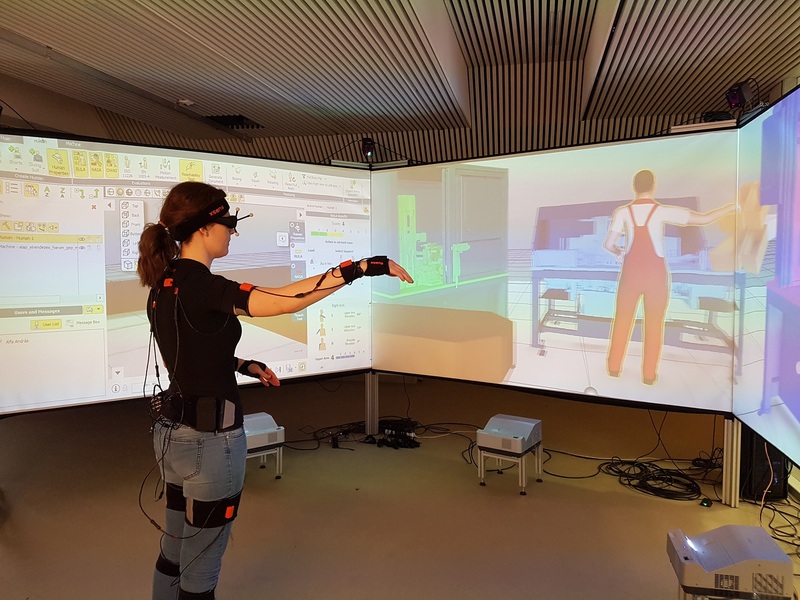 How to create, move, rotate, flip, copy human and set postures in the ViveLab. human properties - part 4. How to choose the origin, height, age, percentile and acceleration of the character, the proportions of the extremities and the category of the human physique. Create 'Quickmachines' and import CAD files - part 5. How to create, move, transform, animate object or import CAD models into ViveLab Ergo. Create animation I. - part 6. This is the first video tutorial about animation in ViveLab. In the next ones you will find further methods on how to create movements and import motion files. Create animation II. - part 7. This is the second video tutorial about animation in ViveLab. In the other videos you will find further methods on how to create movements and import motion files. import motion file - part 8. How to import motion files and analyze the movements. Modifying imported animation - part 9. Modifying an animation in ViVeLab is not easy, but it’s not impossible. Let's see how can you do this! Professional ergonomics analysis - part 10. Identify health damaging effects of forced movements caused by incorrect workplace design! Export analysis report - part 11. Analysis report can be exported from ViveLab Ergo, which contains the objective data obtained during the analysis. In our previous video will find further information how to analyze in ViveLab Ergo. Motion measurement, spaghetti diagram - part 12. The ‘Motion Measurement / spaghetti diagram’ feature can be used to measure the distance traveled by a human character during animation or visualize the motion trail involved. Reachability test - part 13. The Reachability Test feature can be used to visualize the reachability zone of the hands of the human character. Object setting (visibility, freezing, locking) - part 14. How to use ruler and viewpoint - part 15. How to use the ruler tool and select viewpoint in ViveLab. Attach camera - part 16. How to attach camera and watch the simulation from the viewpoint of human. How to use bookmark - part 17. How to use the bookmark. How to collaborate with a team and evaluate simulations logging in from anywhere in the world.